As we get prepared to bring you all the news from next week’s Electronic Entertainment Expo (E3 for short), we want to let you know what you can expect to see from each of the major companies at this year’s show. You know, the company that has brought us so many unforgettable memories over the years with jolly Italian plumber mascot, Mario. Surely, they have got tons of great looking games to show at E3 this year. NintendoI hope you like ‘The Legend of Zelda,’ because this is basically all you’ll see from Nintendo at E3. Not really, it turns out! Expect a lot of “The Legend of Zelda” at E3 this year, and not much else from Nintendo. The company made it clear earlier this year that the newest game in the legendary action-adventure series (which doesn’t even have a name yet) will basically dominate their E3 slate. It’s the only game they’re actually bringing to the show, and anyone who is there can play it. 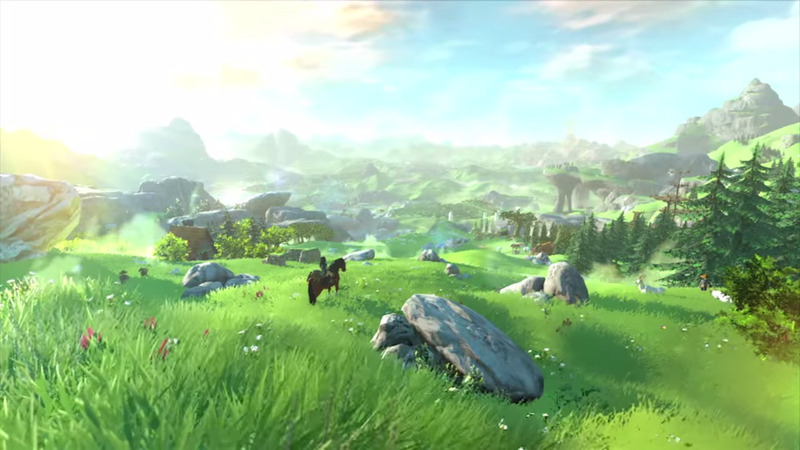 This new “Zelda” game is set in a gigantic-looking open world, rendered in a fantastic new art style. Nintendo has said that they want to rethink how “Zelda” works, hinting that this game will allow players to tackle the series’ signature puzzle-filled dungeons in any order they choose. Assuming you won’t be at E3, you can see the game streamed all day on Tuesday, June 14 starting at 9 a.m. PT/noon PT on Nintendo’s Twitch channel. That stream will also feature some new footage of “Pokemon Sun & Moon” for your viewing pleasure. If you want to finally find out more about Nintendo’s new console, the NX, you’ll have to wait. Neither the console nor any of its games will be at E3, as Nintendo will hold a standalone event to reveal it sometime later this year. Sad face. The Pokemon Company‘Pokemon Go,’ Nintendo’s first attempt at bringing Pokemon to mobile devices. In all fairness, there will be a second all-day stream, starting at 10 a.m. PT/1 p.m. ET on Wednesday, June 15. It will kick off with a developer Q&A about “Pokemon Go,” a mobile augmented reality game where players can use their phones to find, battle and capture Pokemon in the real world. The rest of that stream is devoted to a handful of smaller upcoming games, like “Tokyo Mirage Sessions #FE,” a crossover between Nintendo’s “Fire Emblem” series of strategy games and the popular Japanese “Shin Megami Tensei” franchise. So, Nintendo does have some games to show at E3 this year, but not nearly as many as we’ve come to expect from them, especially with a brand new console coming out early next year. Maybe their NX reveal event will have some more to show in the way of games, but for now, it’s all “Zelda,” all the time.